Philosophy of mind is a branch of philosophy that studies the ontology, nature, and relationship of the mind to the body. The mind–body problem is a paradigm issue in philosophy of mind, although other issues are addressed, such as the hard problem of consciousness, and the nature of particular mental states. 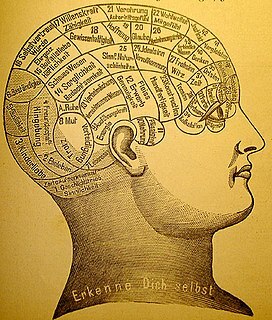 Aspects of the mind that are studied include mental events, mental functions, mental properties, consciousness, the ontology of the mind, the nature of thought, and the relationship of the mind to the body. In philosophy, identity, from Latin: identitas ("sameness"), is the relation each thing bears only to itself. The notion of identity gives rise to many philosophical problems, including the identity of indiscernibles, and questions about change and personal identity over time. David Hume was a Scottish Enlightenment philosopher, historian, economist, and essayist, who is best known today for his highly influential system of philosophical empiricism, scepticism, and naturalism. Hume's empiricist approach to philosophy places him with John Locke, George Berkeley, Francis Bacon and Thomas Hobbes as a British Empiricist. Beginning with his A Treatise of Human Nature (1738), Hume strove to create a total naturalistic science of man that examined the psychological basis of human nature. Against philosophical rationalists, Hume held that passion rather than reason governs human behaviour. Hume argued against the existence of innate ideas, positing that all human knowledge is founded solely in experience. 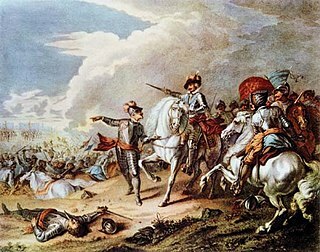 Locke's father, also called John, was an attorney who served as clerk to the Justices of the Peace in Chew Magna;  he had served as a captain of cavalry for the Parliamentarian forces during the early part of the English Civil War. His mother was Agnes Keene. Both parents were Puritans. 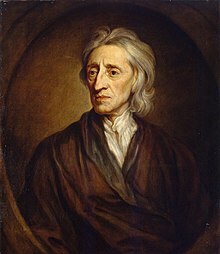 Locke was born on 29 August 1632, in a small thatched cottage by the church in Wrington, Somerset, about 12 miles from Bristol. He was baptised the same day. Soon after Locke's birth, the family moved to the market town of Pensford, about seven miles south of Bristol, where Locke grew up in a rural Tudor house in Belluton. Chew Magna is a village and civil parish within the Chew Valley in the unitary authority of Bath and North East Somerset, in the ceremonial county of Somerset, England. The parish has a population of 1,149. Alexander Popham, of Littlecote, Wiltshire (1605–1669) was an English politician who sat in the House of Commons at various times between 1640 and 1669. 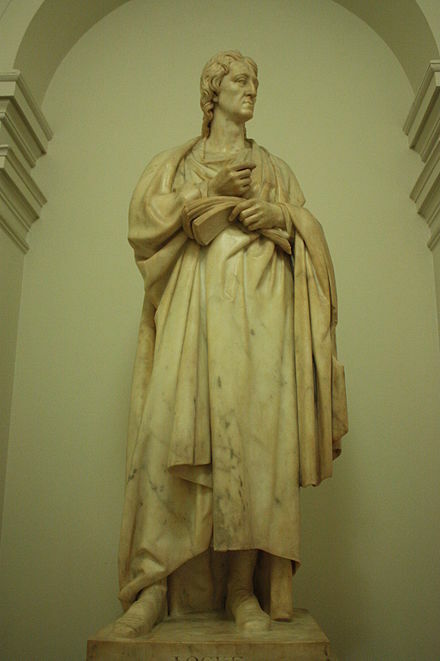 He was patron of the philosopher John Locke. Christ Church is a constituent college of the University of Oxford in England. Christ Church is a joint foundation of the college and the cathedral of the Oxford diocese, which serves as the college chapel and whose dean is ex officio the college head. Locke was awarded a bachelor's degree in February 1656 and a master's degree in June 1658. He obtained a bachelor of medicine in February 1675,  having studied medicine extensively during his time at Oxford and worked with such noted scientists and thinkers as Robert Boyle, Thomas Willis, Robert Hooke and Richard Lower. In 1666, he met Lord Anthony Ashley Cooper, 1st Earl of Shaftesbury, who had come to Oxford seeking treatment for a liver infection. Cooper was impressed with Locke and persuaded him to become part of his retinue. Robert Boyle was an Anglo-Irish natural philosopher, chemist, physicist, and inventor. Boyle is largely regarded today as the first modern chemist, and therefore one of the founders of modern chemistry, and one of the pioneers of modern experimental scientific method. He is best known for Boyle's law, which describes the inversely proportional relationship between the absolute pressure and volume of a gas, if the temperature is kept constant within a closed system. Among his works, The Sceptical Chymist is seen as a cornerstone book in the field of chemistry. He was a devout and pious Anglican and is noted for his writings in theology. Thomas Willis was an English doctor who played an important part in the history of anatomy, neurology and psychiatry. He was a founding member of the Royal Society. Locke had been looking for a career and in 1667 moved into Shaftesbury's home at Exeter House in London, to serve as Lord Ashley's personal physician. In London, Locke resumed his medical studies under the tutelage of Thomas Sydenham. Sydenham had a major effect on Locke's natural philosophical thinking –an effect that would become evident in An Essay Concerning Human Understanding. Thomas Sydenham was an English physician. He was the author of Observationes Medicae which became a standard textbook of medicine for two centuries so that he became known as 'The English Hippocrates'. Among his many achievements was the discovery of a disease, Sydenham's Chorea, also known as St Vitus Dance. An Essay Concerning Human Understanding is a work by John Locke concerning the foundation of human knowledge and understanding. It first appeared in 1689 with the printed title An Essay Concerning Humane Understanding. He describes the mind at birth as a blank slate filled later through experience. 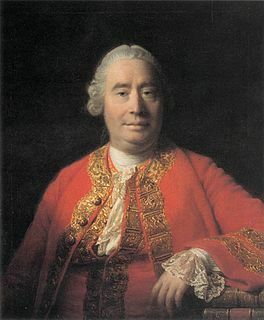 The essay was one of the principal sources of empiricism in modern philosophy, and influenced many enlightenment philosophers, such as David Hume and George Berkeley. Shaftesbury, as a founder of the Whig movement, exerted great influence on Locke's political ideas. Locke became involved in politics when Shaftesbury became Lord Chancellor in 1672. Following Shaftesbury's fall from favour in 1675, Locke spent some time travelling across France as tutor and medical attendant to Caleb Banks. He returned to England in 1679 when Shaftesbury's political fortunes took a brief positive turn. Around this time, most likely at Shaftesbury's prompting, Locke composed the bulk of the Two Treatises of Government . While it was once thought that Locke wrote the Treatises to defend the Glorious Revolution of 1688, recent scholarship has shown that the work was composed well before this date. The work is now viewed as a more general argument against absolute monarchy (particularly as espoused by Robert Filmer and Thomas Hobbes) and for individual consent as the basis of political legitimacy. Although Locke was associated with the influential Whigs, his ideas about natural rights and government are today considered quite revolutionary for that period in English history. In the Netherlands, Locke had time to return to his writing, spending a great deal of time re-working the Essay and composing the Letter on Toleration. Locke did not return home until after the Glorious Revolution. Locke accompanied Mary II back to England in 1688. The bulk of Locke's publishing took place upon his return from exile –his aforementioned Essay Concerning Human Understanding, the Two Treatises of Civil Government and A Letter Concerning Toleration all appearing in quick succession. He died on 28 October 1704, and is buried in the churchyard of the village of High Laver,  east of Harlow in Essex, where he had lived in the household of Sir Francis Masham since 1691. Locke never married nor had children. Appraisals of Locke have often been tied to appraisals of liberalism in general, and to appraisals of the United States. Detractors note that (in 1671) he was a major investor in the English slave-trade through the Royal African Company. In addition, he participated in drafting the Fundamental Constitutions of Carolina while Shaftesbury's secretary, which established a feudal aristocracy and gave a master absolute power over his slaves. For example, Martin Cohen notes that Locke, as a secretary to the Council of Trade and Plantations (1673–1674) and a member of the Board of Trade (1696–1700), was in fact, "one of just half a dozen men who created and supervised both the colonies and their iniquitous systems of servitude". Some see his statements on unenclosed property as having been intended to justify the displacement of the Native Americans. Because of his opposition to aristocracy and slavery in his major writings, he is accused of hypocrisy and racism, or of caring only for the liberty of English capitalists. Locke also drafted implementing instructions for the Carolina colonists designed to ensure that settlement and development was consistent with the Fundamental Constitutions. Collectively, these documents are known as the Grand Model for the Province of Carolina. Locke stated his belief, in his Second Treatise, that nature on its own provides little of value to society, implying that the labour expended in the creation of goods gives them their value. This position can be seen as a labour theory of value. From this premise, Locke developed a labour theory of property, namely that ownership of property is created by the application of labour. In addition, he believed that property precedes government and government cannot "dispose of the estates of the subjects arbitrarily." Karl Marx later critiqued Locke's theory of property in his own social theory. Like Hobbes, Locke assumed that the sole right to defend in the state of nature was not enough, so people established a civil society to resolve conflicts in a civil way with help from government in a state of society. However, Locke never refers to Hobbes by name and may instead have been responding to other writers of the day. Locke also advocated governmental separation of powers and believed that revolution is not only a right but an obligation in some circumstances. These ideas would come to have profound influence on the Declaration of Independence and the Constitution of the United States. Locke's general theory of value and price is a supply and demand theory, which was set out in a letter to a Member of Parliament in 1691, titled Some Considerations on the Consequences of the Lowering of Interest and the Raising of the Value of Money. He refers to supply as "quantity" and demand as "rent". "The price of any commodity rises or falls by the proportion of the number of buyer and sellers," and "that which regulates the price... [of goods] is nothing else but their quantity in proportion to their rent." The quantity theory of money forms a special case of this general theory. His idea is based on "money answers all things" (Ecclesiastes) or "rent of money is always sufficient, or more than enough," and "varies very little..." Locke concludes that as far as money is concerned, the demand is exclusively regulated by its quantity, regardless of whether the demand for money is unlimited or constant. He also investigates the determinants of demand and supply. For supply, he explains the value of goods as based on their scarcity and ability to be exchanged and consumed. He explains demand for goods as based on their ability to yield a flow of income. Locke develops an early theory of capitalisation, such as land, which has value because "by its constant production of saleable commodities it brings in a certain yearly income." He considers the demand for money as almost the same as demand for goods or land; it depends on whether money is wanted as medium of exchange. As a medium of exchange, he states that "money is capable by exchange to procure us the necessaries or conveniences of life," and for loanable funds, "it comes to be of the same nature with land by yielding a certain yearly income... or interest." Locke's concept of man started with the belief in creation. Like philosophers Hugo Grotius and Samuel Pufendorf, Locke equated natural law with the biblical revelation. Locke derived the fundamental concepts of his political theory from biblical texts, in particular from Genesis 1 and 2 (creation), the Decalogue, the Golden Rule, the teachings of Jesus, and the letters of Paul the Apostle. The Decalogue puts a person's life, their reputation, and property under God's protection. Natural law is a philosophy asserting that certain rights are inherent by virtue of human nature, endowed by nature—traditionally by God or a transcendent source—and that these can be understood universally through human reason. As determined by nature, the law of nature is implied to be objective and universal; it exists independently of human understanding, and of the positive law of a given state, political order, legislature or society at large. Thomas Hobbes, in some older texts Thomas Hobbes of Malmesbury, was an English philosopher, considered to be one of the founders of modern political philosophy. 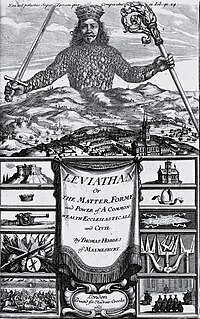 Hobbes is best known for his 1651 book Leviathan, which expounded an influential formulation of social contract theory. In addition to political philosophy, Hobbes also contributed to a diverse array of other fields, including history, jurisprudence, geometry, the physics of gases, theology, ethics, and general philosophy. Francis Hutcheson was an Irish philosopher born in Ulster to a family of Scottish Presbyterians who became known as one of the founding fathers of the Scottish Enlightenment. He is remembered for his book "A System of Moral Philosophy". Natural and legal rights are two types of rights. Natural rights are those that are not dependent on the laws or customs of any particular culture or government, and so are universal and inalienable Legal rights are those bestowed onto a person by a given legal system. Two Treatises of Government is a work of political philosophy published anonymously in 1689 by John Locke. The First Treatise attacks patriarchalism in the form of sentence-by-sentence refutation of Robert Filmer's Patriarcha, while the Second Treatise outlines Locke's ideas for a more civilized society based on natural rights and contract theory. Liberalism is a political and moral philosophy based on liberty and equal rights. Liberals espouse a wide array of views depending on their understanding of these principles, but they generally support limited government, individual rights, capitalism, democracy, secularism, gender equality, racial equality, internationalism, freedom of speech, freedom of the press and freedom of religion. Jonas Proast (c.1640−1710) was an English High Church Anglican clergyman and academic. He was an opponent of latitudinarianism, associated with Henry Dodwell, George Hickes, Thomas Hearne and Jonathan Edwards. He is now known for his controversy with John Locke, over Locke's Letter concerning Toleration. Professor Glen Francis Newey was a political philosopher, last acting as a Professor of Practical Philosophy at the University of Leiden. He previously worked in Brussels and until 2011 was Professor in the School of Politics, International Relations & Philosophy at Keele University, Staffordshire, England. He was a prominent member of the "Realist" school of political philosophers which also includes such figures as Bernard Williams, John N. Gray, and Raymond Geuss. Newey also wrote extensively about toleration, casting doubt on whether it remains a coherent political ideal in modern liberal-democratic societies. Atheism, as defined by the entry in Diderot and d'Alembert's Encyclopédie is "the opinion of those who deny the existence of a God in the world. The simple ignorance of God doesn't constitute atheism. To be charged with the odious title of atheism one must have the notion of God and reject it." In the period of the Enlightenment, avowed and open atheism was made possible by the advance of religious toleration, but was also far from encouraged. British philosophy refers to the philosophical tradition of the British people. "The native characteristics of British philosophy are these: common sense, dislike of complication, a strong preference for the concrete over the abstract and a certain awkward honesty of method in which an occasional pearl of poetry is embedded". The philosophy of human rights attempts to examine the underlying basis of the concept of human rights and critically looks at its content and justification. Several theoretical approaches have been advanced to explain how and why the concept of human rights developed. Richard Ashcraft was an American political theorist and Professor of Political Science at UCLA. Mark Goldie, FRHS is an English historian and Professor of Intellectual History at Churchill College, Cambridge. He has written on the English political theorist John Locke and is a member of the Early Modern History and Political Thought and Intellectual History subject groups at the Faculty of History in Cambridge. Two Tracts on Government is a work of political philosophy written in 1660 by John Locke but remained unpublished until 1961. It bears a similar name to a later, more famous, political philosophy work by Locke, namely Two Treatises of Government. The two works, however, have very different positions. ↑ Grigoris Antoniou, John Slaney (eds. ), Advanced Topics in Artificial Intelligence, Springer, 1998, p. 9. ↑ Vere Claiborne Chappell (ed. ), The Cambridge Companion to Locke, Cambridge University Press, 1994, p. 56. ↑ Locke, John (1690). Two Treatises of Government (10th edition): Chapter II, Section 6. Project Gutenberg . Retrieved May 5, 2018. ↑ Uzgalis, William. "John Locke". In Zalta, Edward N. Stanford Encyclopedia of Philosophy . ↑ Waldron 2002, p. 116. ↑ Laslett 1988, III. Two Treatises of Government and the Revolution of 1688. ↑ Hirano, Satoru (2004), "Britannica Online", Journal of Information Processing and Management, 47 (3): 212, Bibcode:2004JIPM...47..212H, doi:10.1241/johokanri.47.212 |contribution= ignored (help). ↑ Julian Hoppit, A Land of Liberty? England. 1689–1727 (Oxford: Clarendon Press, 2000), p. 195. ↑ John Kenyon, Revolution Principles. The Politics of Party. 1689–1720 (Cambridge: Cambridge University Press, 1977), p. 200. ↑ Kenyon, p. 51. Kenyon adds: "Any unbiassed study of the position shows in fact that it was Filmer, not Hobbes, Locke or Sidney, who was the most influential thinker of the age". Kenyon, p. 63. ↑ "The Three Greatest Men". August 2007. Retrieved 27 June 2018. Jefferson identified Bacon, Locke, and Newton as "the three greatest men that have ever lived, without any exception". Their works in the physical and moral sciences were instrumental in Jefferson's education and world view. ↑ Jefferson, Thomas. "The Letters: 1743–1826 Bacon, Locke, and Newton" . Retrieved 13 June 2009. Bacon, Locke and Newton, whose pictures I will trouble you to have copied for me: and as I consider them as the three greatest men that have ever lived, without any exception, and as having laid the foundation of those superstructures which have been raised in the Physical & Moral sciences. ↑ "Jefferson called Bacon, Newton, and Locke, who had so indelibly shaped his ideas, "my trinity of the three greatest men the world had ever produced"". Explorer. Monticello. Retrieved 28 August 2012. ↑ Seigel, Jerrold. The Idea of the Self: Thought and Experience in Western Europe since the Seventeenth Century. Cambridge: Cambridge University Press (2005). ↑ Taylor, Charles (1989), Sources of the Self: The Making of Modern Identity, Cambridge: Harvard University Press . ↑ Schultz, Duane P. (2008). A History of Modern Psychology (ninth edition). Belmont, CA: Thomas Higher Education. pp. 47–48. ISBN 978-0-495-09799-0. ↑ McGrath, Alister. 1998. Historical Theology, An Introduction to the History of Christian Thought. Oxford: Blackwell Publishers. pp. 214–15. 1 2 3 Heussi 1956. ↑ Olmstead 1960, p. 18. ↑ Olmstead 1960, pp. 102–05. ↑ Olmstead 1960, p. 5. ↑ Cohen, Martin (2008), Philosophical Tales, Blackwell, p. 101 . ↑ Skinner, Quentin, Visions of Politics, Cambridge . ↑ "John Locke: Inequality is inevitable and necessary". Department of Philosophy The University of Hong Kong. Archived from the original (MS PowerPoint) on 9 May 2009. Retrieved 1 September 2011. ↑ Locke, John. "Second Treatise". The Founders Constitution. §§ 25–51, 123–26. Archived from the original on 11 September 2011. Retrieved 1 September 2011. ↑ Cliff, Cobb; Foldvary, Fred. "John Locke on Property". The School of Cooperative Individualism. Archived from the original on 15 March 2012. Retrieved 14 October 2012. ↑ Locke, John (1691), Some Considerations on the consequences of the Lowering of Interest and the Raising of the Value of Money, Marxists . ↑ Locke 1997, p. 307. ↑ Locke 1997, p. 306. ↑ The American International Encyclopedia, 9, New York: JJ Little Co, 1954 . 1 2 Locke 1996, p. 10. ↑ Locke 1997, p. 357. ↑ "Dreaming, Philosophy of – Internet Encyclopedia of Philosophy". utm.edu. ↑ Forster, Greg (2005), John Locke's politics of moral consensus . ↑ Parker, Kim Ian (2004), The Biblical Politics of John Locke, Canadian Corporation for Studies in Religion . ↑ Locke, John (2002), Nuovo, Victor, ed., Writings on religion, Oxford . 1 2 Marshall, John (1994), John Locke: resistance, religion and responsibility, Cambridge, p. 426 . ↑ Wainwright, Arthur, W., ed. (1987). The Clarendon Edition of the Works of John Locke: A Paraphrase and Notes on the Epistle of St. Paul to the Galatians, 1 and 2 Corinthians, Romans, Ephesians. Oxford: Clarendon Press. p. 806. ISBN 978-0-19-824806-4. ↑ Waldron 2002, pp. 27, 223. ↑ Waldron 2002, pp. 217 ff. 1 2 Waldron 2002, p. 13. ↑ Dunn, John (1969), The Political Thought of John Locke: A Historical Account of the Argument of the 'Two Treatises of Government', Cambridge, UK: Cambridge University Press, p. 99, [The Two Treatises of Government are] saturated with Christian assumptions. .
↑ Waldron 2002, pp. 22–43, 45–46, 101, 153–58, 195, 197. ↑ Waldron 2002, pp. 21–43. ↑ Waldron 2002, p. 136. ↑ Locke, John (1947). Two Treatises of Government. New York: Hafner Publishing Company. pp. 17–18, 35, 38. ↑ Becker, Carl. The Declaration of Independence: A Study in the History of Political Ideas. 1922. Google Book Search. Revised edition New York: Vintage Books, 1970. ISBN 0-394-70060-0. ↑ "The manuscripts, Letter from Andrew Millar to Thomas Cadell, 16 July, 1765. University of Edinburgh". www.millar-project.ed.ac.uk. Retrieved 2016-06-02. Bailyn, Bernard, 1992 (1967). The Ideological Origins of the American Revolution . Harvard Uni. Press. Discusses the influence of Locke and other thinkers upon the American Revolution and on subsequent American political thought. Mack, Eric (2008). "Locke, John (1632–1704)". In Hamowy, Ronald. The Encyclopedia of Libertarianism. Thousand Oaks, CA: Sage; Cato Institute. pp. 305–07. doi:10.4135/9781412965811.n184. ISBN 978-1-4129-6580-4. LCCN 2008009151. OCLC 750831024. Rickless, Samuel. "Locke on Freedom". In Zalta, Edward N. Stanford Encyclopedia of Philosophy . "John Locke". Internet Encyclopedia of Philosophy . "John Locke: Political Philosophy". Internet Encyclopedia of Philosophy . Kraynak, Robert P. (March 1980). "John Locke: from absolutism to toleration". American Political Science Review . 74 (1): 53–69. doi:10.2307/1955646. JSTOR 1955646.